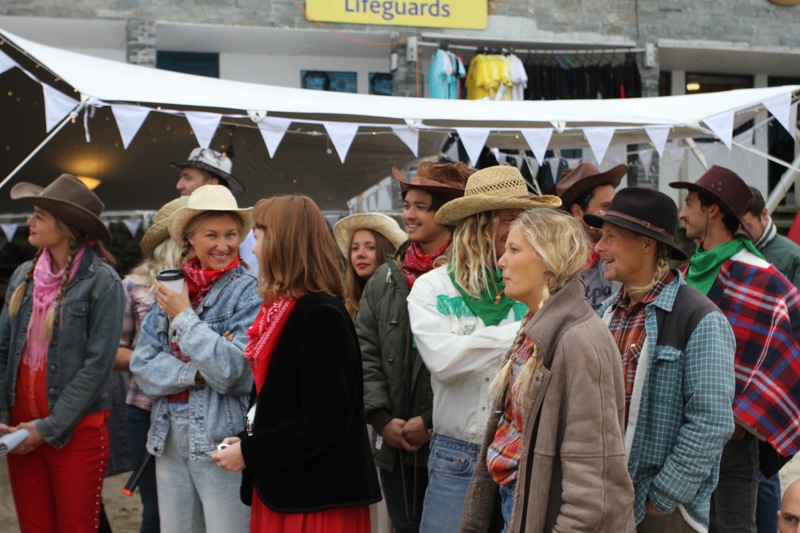 Saturday 17th October brought us another great production from St. Ives Surf School as it hosted ‘The Morning of the Mo”, helping the Movember Foundation to raise awareness of several issues around mens’ health. The initiative focusses on prostate cancer, testicular cancer, male mental health and the benefits that regular exercise can bring, and Movember’s charity raises funds to support research and increase public understanding in these areas. 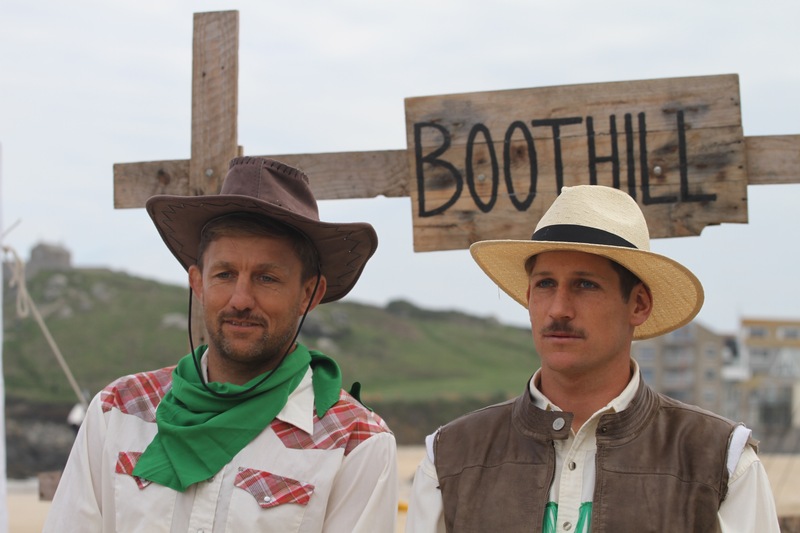 Movember’s most visible campaign centres around men growing facial hair for the whole month of November as a means of raising charitable donations – and that hairy look suggested that the fancy dress theme for our fun day should be “Cowboys”. 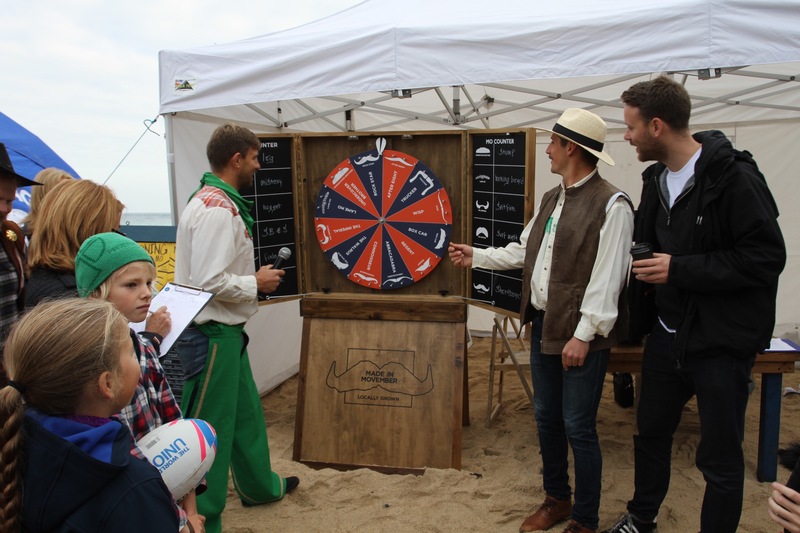 The surf rodeo thus took shape, whereby a surf competition on a variety of water craft, chosen randomly by ‘The Wheel of Mo’, would be the principal event around which to base the day. The wheel of mo’. Each tache represents a different water craft. 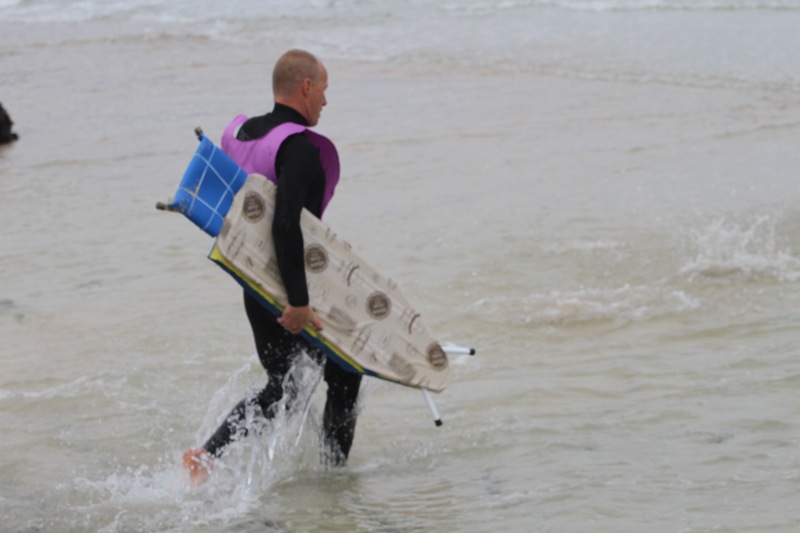 Kayak, Stump, Log, Swellboard, Ironing Board, Shortboard, Finless, Bottle and others – a dozen different rides, some perhaps unrideable! 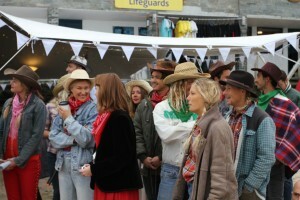 The judges would take that into account along with considerations of style, gender and invention. 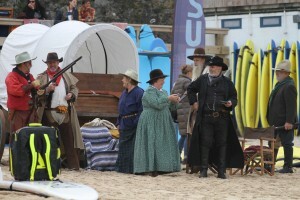 We were also privileged to welcome The Searchers to Porthmeor Beach. 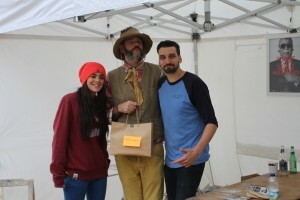 They are an Old West re-enactment society who create an authentic Wild West flavour with their chuck wagon, period dress and their fearsome firearms. 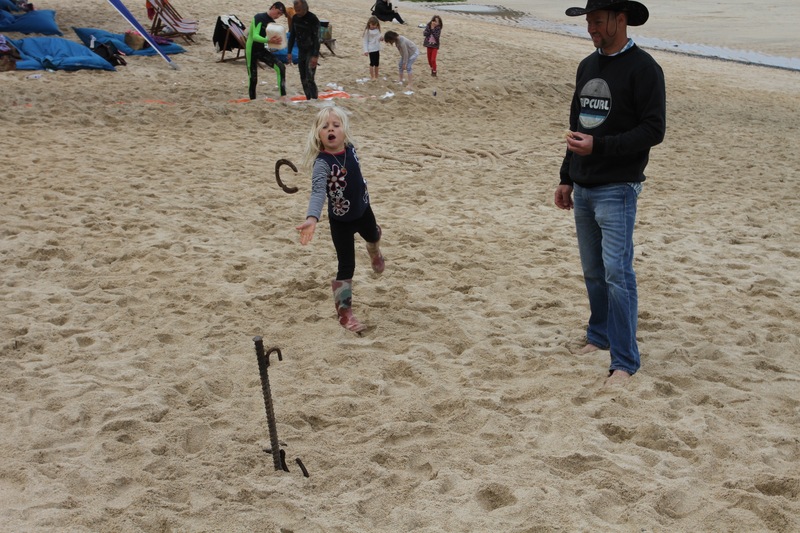 The guns were soon pressed into action as the starters of each surf heat – a heavy volley of shots blowing the contestants over before they jumped back to their feet and scarpered off toward the ocean. 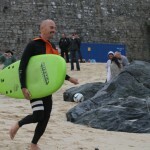 By the time round one of the contest was complete, there were a good few surfers out of the competition, and it was an appropriate moment to uncover the hot tubs which St. Ives Hot Tubs had brought to the beach. 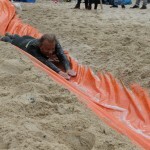 They proved to be an instant success – being an early loser never felt so good! Out of the comp and into the hot tub. Hot tub – Hot lips! As the day progressed to the mellow sounds of the Red Bull Disco Truck, there was volleyball and horseshoe quoits to tackle. 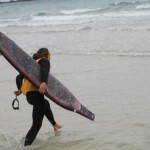 Surfers Against Sewage gave us an oversight of their work promoting clean oceans and beaches before their team led a sweep of Porthmeor on a cleaning mission. 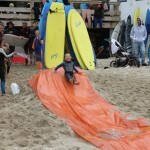 There was another novelty for Porthmeor in the afternoon as a crew of thrill seekers constructed a Slip n’ Slide chute and commenced launching themselves in a froth of of high-speed bubbles. 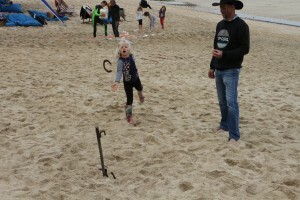 This proved to be an irresistible temptation for young and old alike and soon attracted a queue of downhill racers ready to revel in a headfirst splash to the bottom. 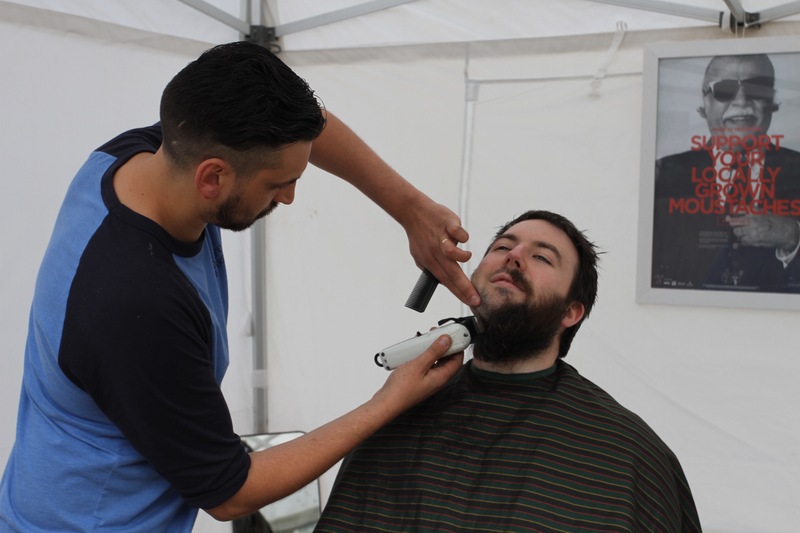 Meanwhile, reconnecting with the main theme of the day, the Good Folks hairdressing shop came down from Tregenna Hill to set up stall in the Movember tent offering shaves, trims, haircuts and coiffures to all for the price of a donation to the cause. They tackled some fierce facial hair in their efforts for Movember while providing an amusing spectacle for the clean-shaven among us! Jabula’s big tent hosted Newquay’s Steampunk, bringing some beautiful acoustic melodies to the event and leading us to the mulled cider stall as the late afternoon chill began to set in. 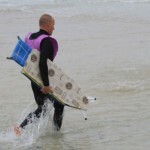 Meanwhile, the surfing action came to a head in a terrific four-man final – and each finalist had drawn a surfcraft which was at least half-suited to riding. The result, when announced, saw Jacob Down take the win narrowly over Jon Bairds, with Jayce Robinson third and Giacomo Tilli fourth. Well done guys! And so another great day at Porthmeor ended. 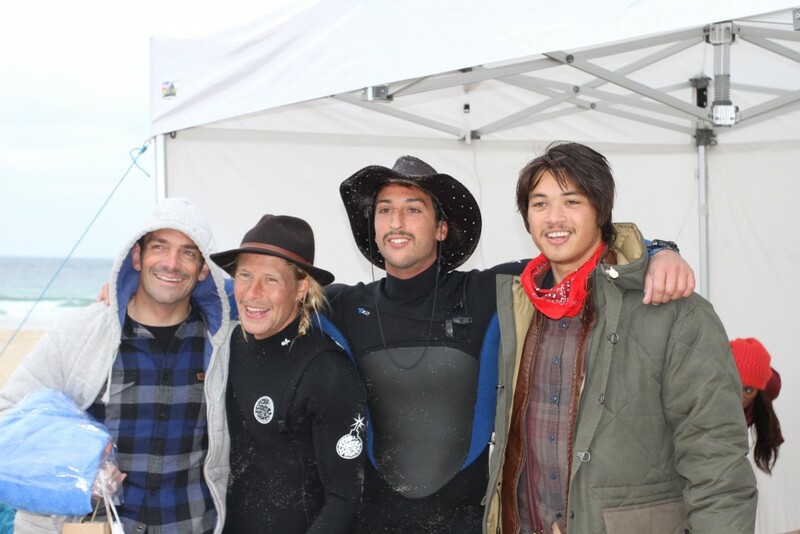 It remains for me to thank the many contributors to the event, beginning naturally, with St. Ives Surf School and the Movember Foundation. 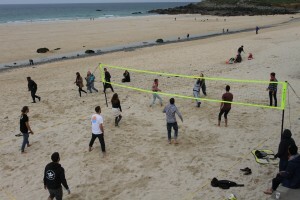 Porthmeor Beach Services furnished participants with breakfast , lunch and the mulled cider. 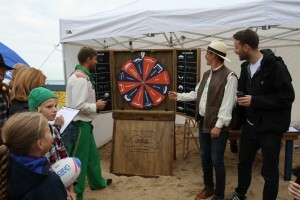 There was further alcoholic support from St. Ives Brewery and Spitfire Ales. 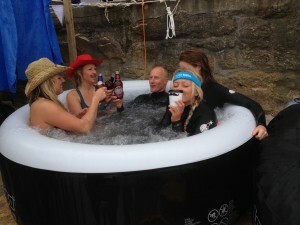 Jabula Tents and St. Ives Hot Tubs gave a big hand, as did Red Bull, who supplied music, drink and the water safety crew. The Searchers brought a special Mo’ flavour to the day, and that was hugely complemented by the Good Folks Hairdressing Salon being on hand to tame some Mo’s as the day wore on! We were grateful for the presence of Surfers Against Sewage to remind all beachgoers of the blessing that our beautiful coastline brings, and to keep us mindful of how we can preserve and protect our ocean environment. Robies Robes offered prizes and a rail of robes for changing in and out of the hot tubs. And finally, we must thank the competition judges for their unsung help throughout the day. 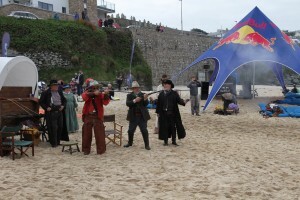 Thanks too, to the beach marshalls and all the other helpers who kept things flowing as the day progressed.The RNLI lifeguards were as accommodating as ever in allowing us a generous competition area, and finally, big thanks to Steampunk for adding their musical vibe to the afternoon. Senara was on hand to capture the day’s action on video, and there’s a great edit here! That’s just how it went down! And the Movember Foundation’s record of the event is here! There was an after party at The Hub on the evening – but that’s another story! Look out for Movember action next month, and please support their work when you can.